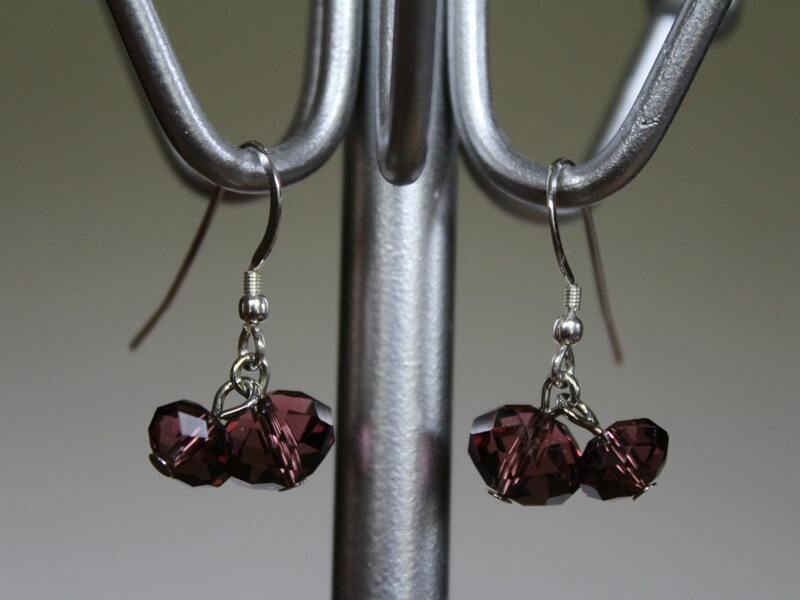 These short dangle earrings are wonderful for your next formal event or for every day use. 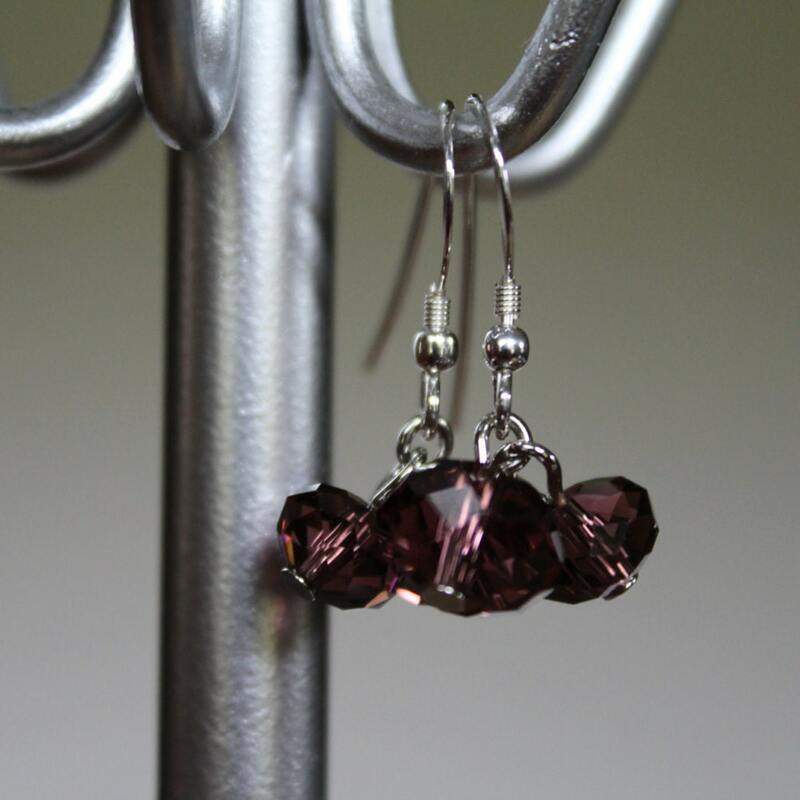 The crystal dangles are faceted, so they will sparkle with every move you make. They create a great contrast against their silver ear-wire, and offer that perfect shade of eggplant purple that looks almost smokey in color depending on what you wear with it. The crystals are approximately 10mm and 8mm in diameter.